General Technical Chat This section is for technical discussions relating to general maintenance, electrical issues, engine trouble, and recalls. I know you replaced the coils. I wonder if maybe the fuel injectors are just not firing as good as they could be. at this point that would be great if that were true as i could just swap them out, is there any way of testing them to see? i can feel them clicking all exactly the same but other than that idk how to test more. here are the basic symptoms that hopefully narrow it down. 1. has error codes p0300, p0301, p0304. 2. idles perfectly fine no matter how long it idles for. 4.misfires then sends blinking cel when misfiring, usually after 3rd gear and after about 15 minutes of driving after cold start. car loses power and bos down while this happens. 5. i pull over and turn the car off then right back on the misfire is gone. comes back after a few minutes of driving. I am only driving the car to test if it has went away but nothing yet. It kind of sounds like it's starving for fuel maybe the fuel pump is crapping out. Ones it gets hot it just gives up. 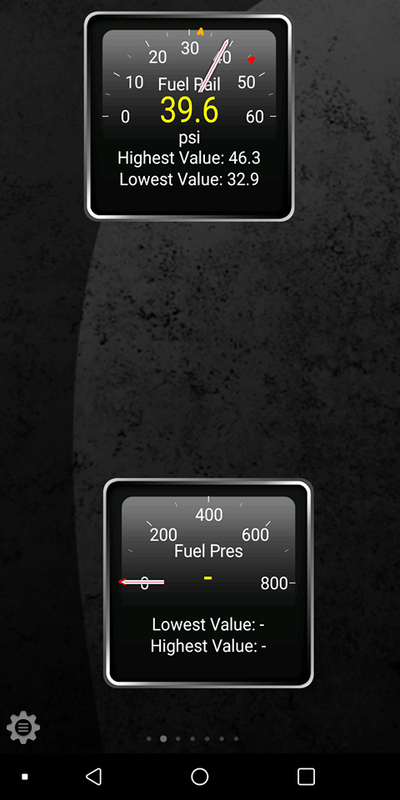 You would need to be able to monitor fuel pressure somehow. I have the torque pro app that can monitor the fuel pressure so i will give that a run hee in a minute, what should i look for that would indicate that there is something wrong with the fuel pressure. I assume it would fluctuate when misfiring but what direction should i look for it going? also the misfire does clear up when driving it a bit more but then will come back on the same, would that still possibly be the fuel pump? thanks for all the help. I would be looking for the fuel pressure to drop.If you do some digging on this site you will find some issues with the older Focus different engine than yours were all the running issues ended up being low fuel pressure. I don't know what the proper fuel pressure spec is though so that's something you would have to fine. PCV hose is likely OK if car idles well. If they run ethanol in the local fuel it could just be water in that making erratic come and go misfire, change where you buy gas for a while. If fuel filter hasn't been changed then do it, it serves to remove quite a bit of water that the matrix inside filter normally catches. Once overloaded though it has to let water go through. Did you try to swap the 1 and 4 coils with the 2 and 3 coils (aka swaptronics) and see if the DTCs follow the cylinders or coils. I went for a test drive today and while i kept the acceleration smooth and not much power i had no misfires but when i accelerated a bit more aggressive it immediately misfired. I also kept track of the fuel rail pressure while at idle it was hovering around 39psi and fluctuated 2-3 psi while driving with no misfires. then while it was misfiring it stayed exactly the same with only 2-3 psi fluctuations. i kept eye on the fuel rail pressure gauge while i was driving, a high of 46psi and a low of 32psi, i was watching this the whole time and never seen them go to 32psi so i assume it was a very fast fluctuation when it happened and im pretty sure that happened when i was turning on my mountain. i have $100 dollars paypal to whoever helps me figure this out! Do you have a compression tester? You could also move the fuel injectors. Put some high quality fuel system cleaner in. Just bouncing ideas. Last edited by zacautomotive; 03-31-2019 at 06:10 PM. Keep in mind that the fuel pressure you see on a scan tool will be the relative fuel pressure (RFP) which should always be 39/40 psi. If you put a mechanical gauge on the fuel rail you will see the absolute fuel pressure which should be in the range of 30-45 psi. Absolute fuel pressure should be lowest at idle or anytime the throttle blade is closed and manifold vacuum (negative pressure) is high.